Using its infrared vision to peer nine billion years back in time, the NASA/ESA Hubble Space Telescope has uncovered an extraordinary population of tiny, young galaxies that are brimming with star formation. The galaxies are churning out stars at such a rate that the number of stars in them would double in just ten million years. For comparison, the Milky Way has taken a thousand times longer to double its stellar population. 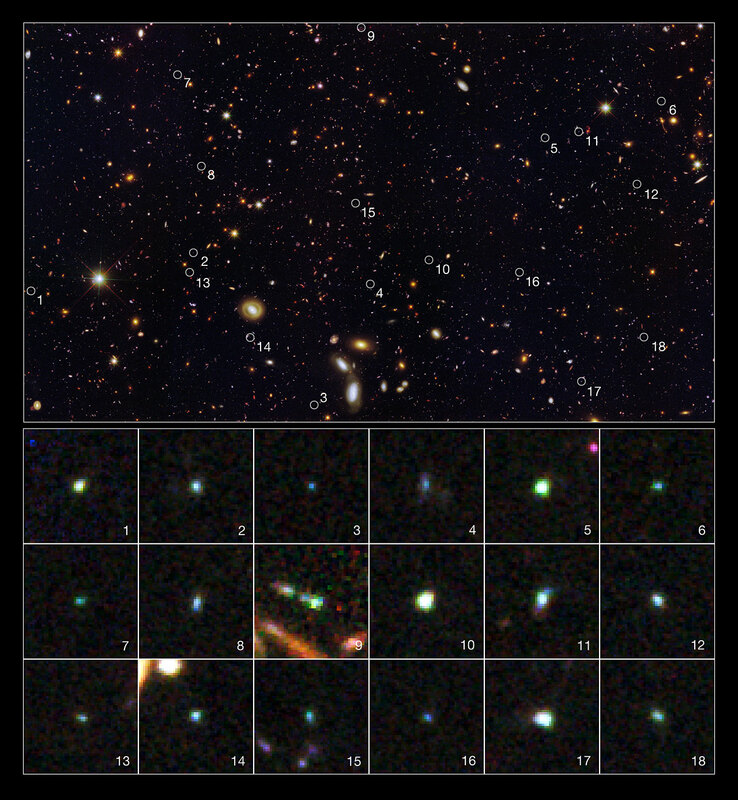 The observations were part of the Cosmic Assembly Near-infrared Deep Extragalactic Legacy Survey (CANDELS), an ambitious three-year survey to analyse the most distant galaxies in the Universe. 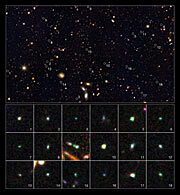 CANDELS is the first census of dwarf galaxies at such an early epoch on the Universe’s history. “In addition to the images, Hubble has captured spectra from a handful of these galaxies that show us the detailed physics of what’s happening within them and confirm their extreme star-forming nature,” says co-author Amber Straughn at NASA’s Goddard Space Flight Center in Greenbelt, USA. 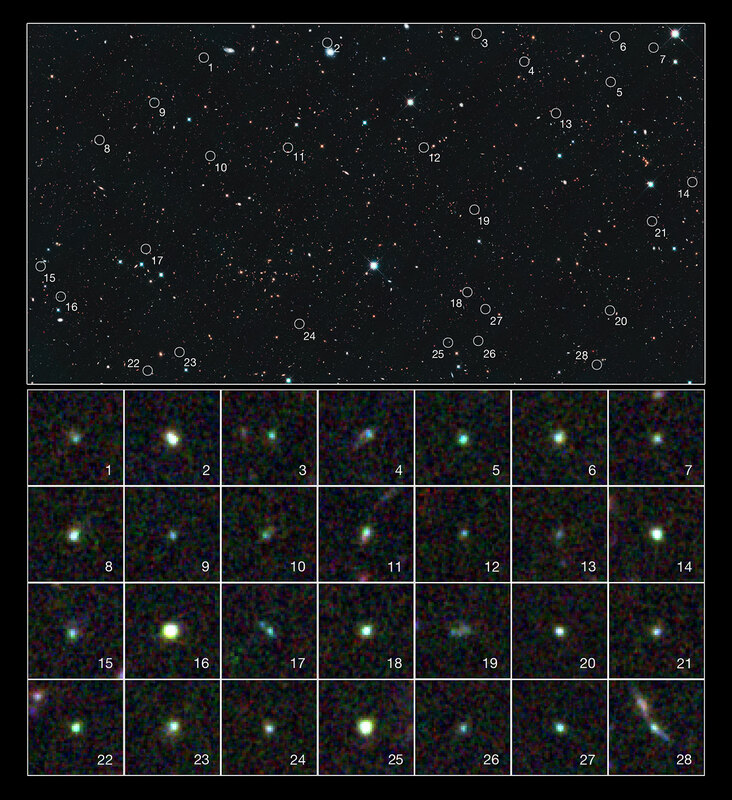 The CANDELS team uncovered the 69 young dwarf galaxies in near-infrared images taken with Hubble’s Wide Field Camera 3 and Advanced Camera for Surveys. 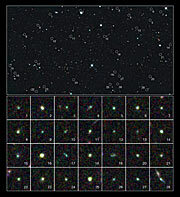 The observations concentrated on two regions of the sky called the Great Observatories Origins Deep Survey-South and the UKIDSS Ultra Deep Survey (part of the UKIRT Infrared Deep Sky Survey). “While these theoretical predictions may provide hints to explain the star formation in these newly discovered galaxies, the observed ‘bursts’ are much more intense than those reproduced by the simulations,” says van der Wel. The NASA/ESA/CSA James Webb Space Telescope, an infrared observatory scheduled to be launched later this decade, will be able to probe these faint galaxies at an even earlier era to see the glow of the first generation of stars, providing detailed information of the galaxies’ chemical composition.